â€œExperience North America at your leisureâ€ with freedom to choose holidays. Experience North America on your own terms! 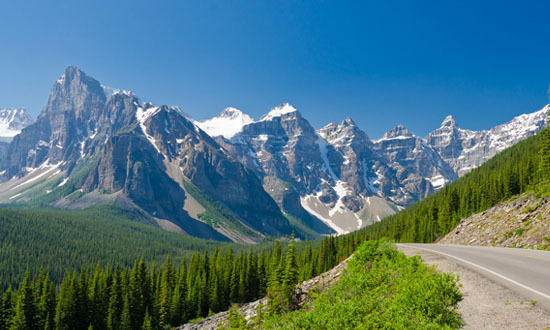 Travelpack has prepared a selection of â€œSelf-Driveâ€ holidays throughout Â the USA and Canada for you to choose from. The great thing about these itineraries is that you are in control of your tour â€“ YOU choose when to start the day, where to go, where and when to stop and how long you want to stop for and there is no need to worry about trying to book into accommodation as you travel (especially during the summer months in the National Parks where accommodation is at a premium) â€“ we do it for you before you even leave the U.K.
All of our pre-arranged itineraries offer a complete holiday service using quality hotels. You will also receive comprehensive documentation, including day-by-day itineraries, with driving instructions and discount coupons for local attractions. It couldnâ€™t be easier! Unless stated â€“ attractions, car hire, flights, ferry charges, park fees. adventure packages or city and resort experiences making the itinerary one that suits your needs. If however, you want something completely different then we can put together an itinerary of your own choice â€“ just call your Travel Agent for more information. Please be advised that all visitors to Canadian National Parks are required to purchase a National Park Visitor Pass. Unless stated in the itinerary as â€˜includedâ€™ the Pass may be purchased at the park entrance gate or in the nearest urban centre. Park fees are approximately CAD$10.00 per person per day or CAD$20.00 for a family group â€“ you can purchase an annual discovery pass to cover 27 National Parks and 77 National Monuments for approximately CAD$70.00 per person or CAD$140.00 per family group. Fees also apply to US National Parks and are generally paid at the park entrance â€“ although an annual park pass is available for approximately $80.00 which gives access to up to 2000 Federal facilities.